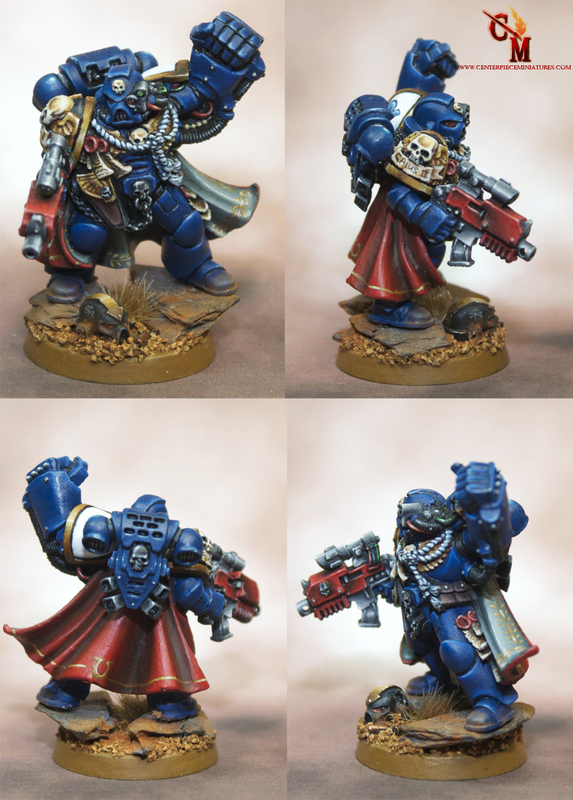 Well this is the first post of many for a new large commission. 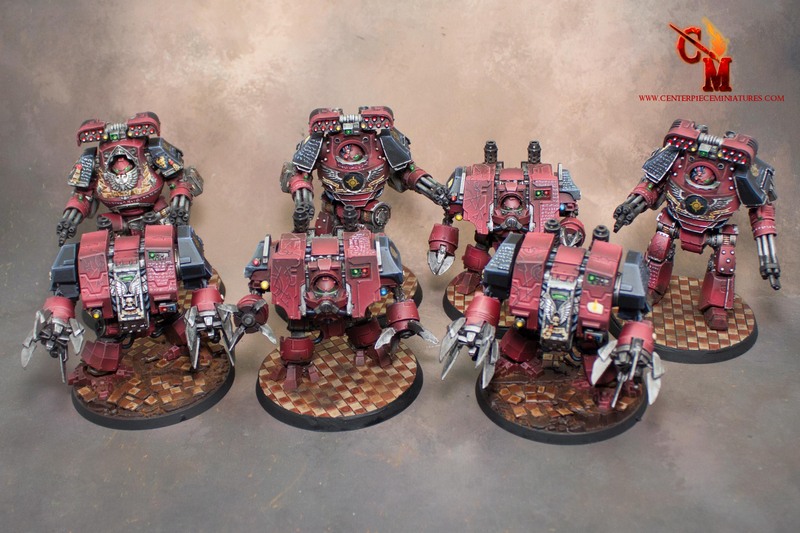 It is a very large Word Bearer Horus Heresy army. 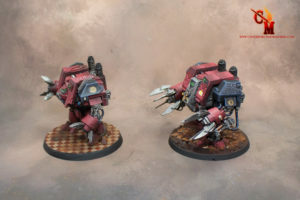 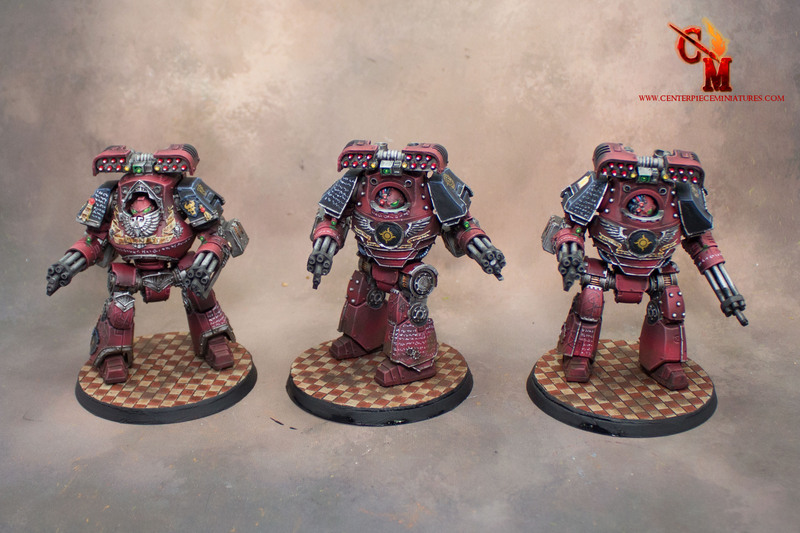 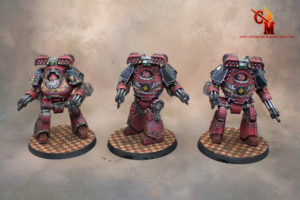 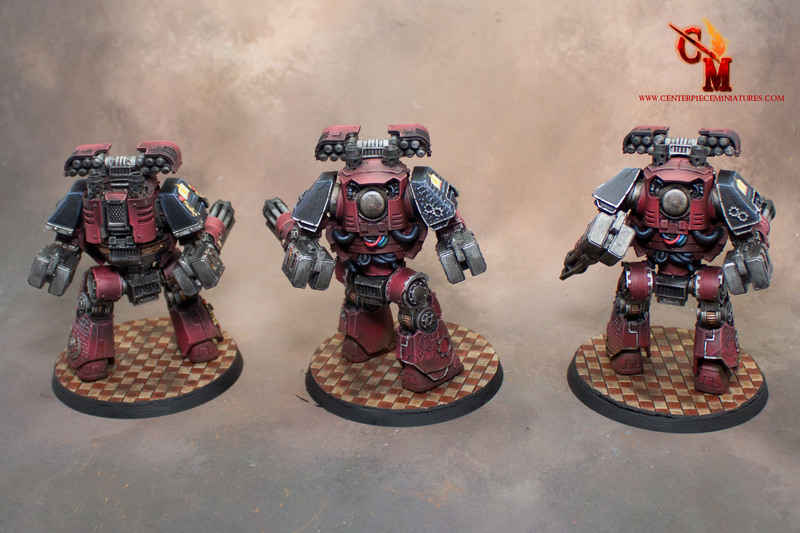 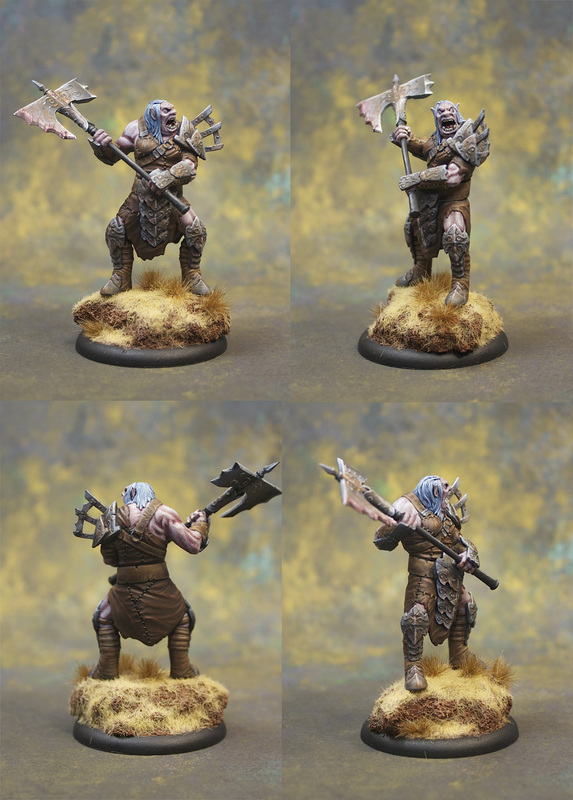 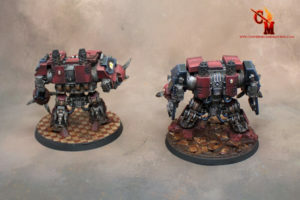 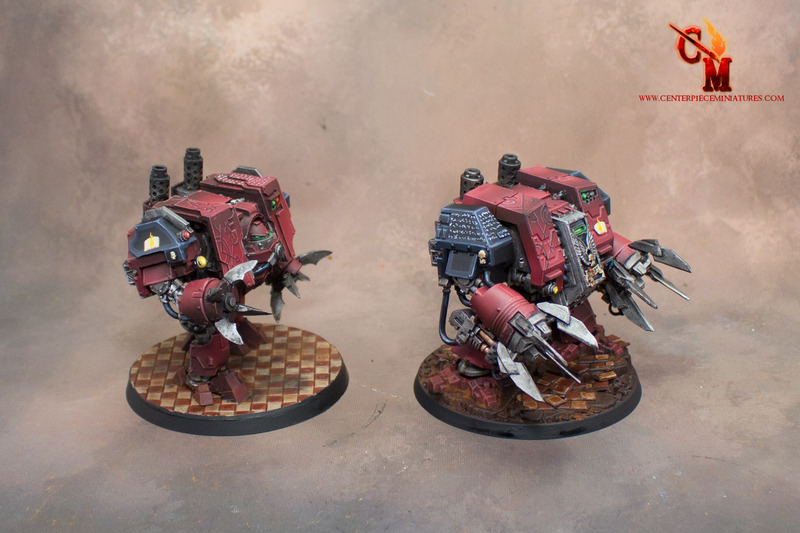 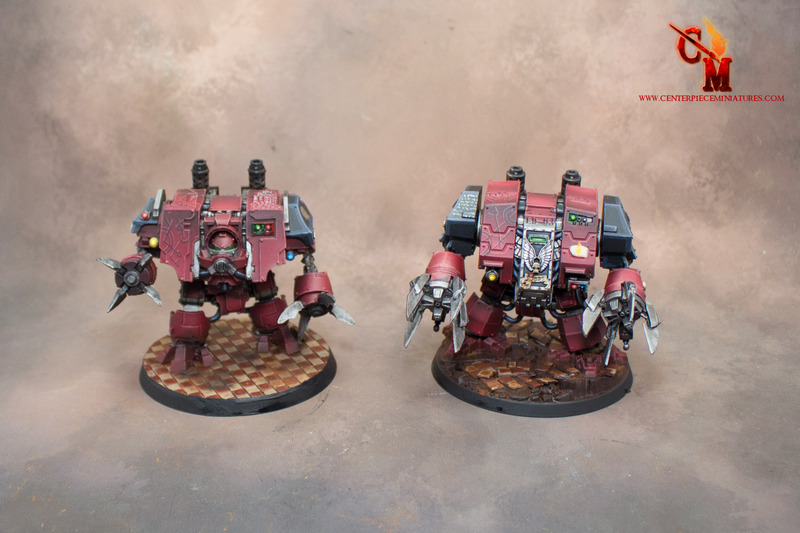 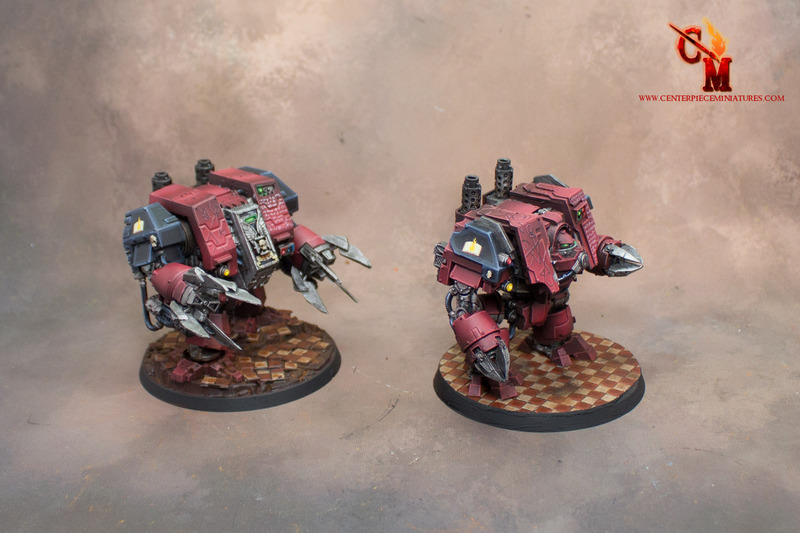 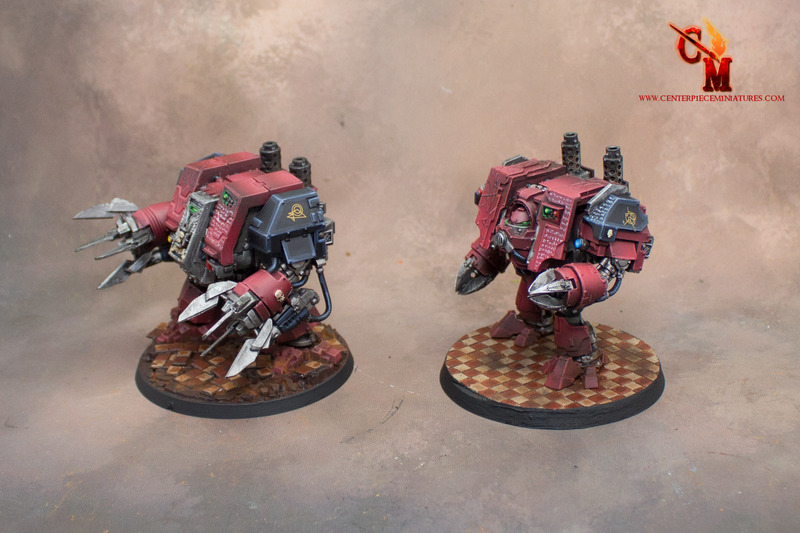 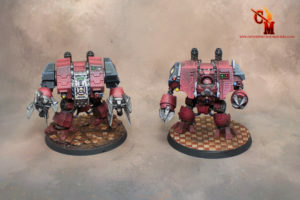 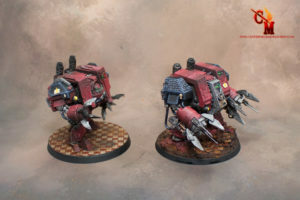 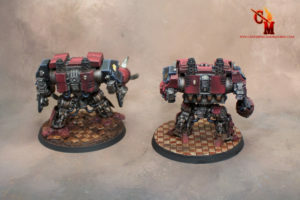 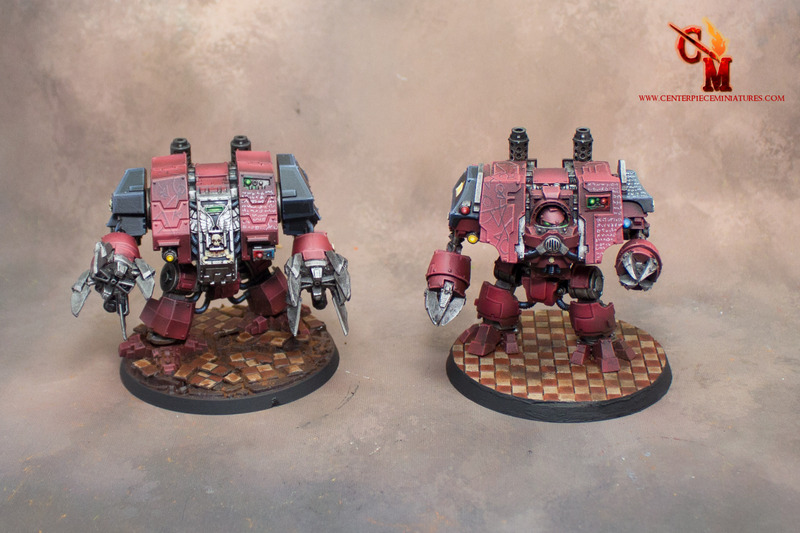 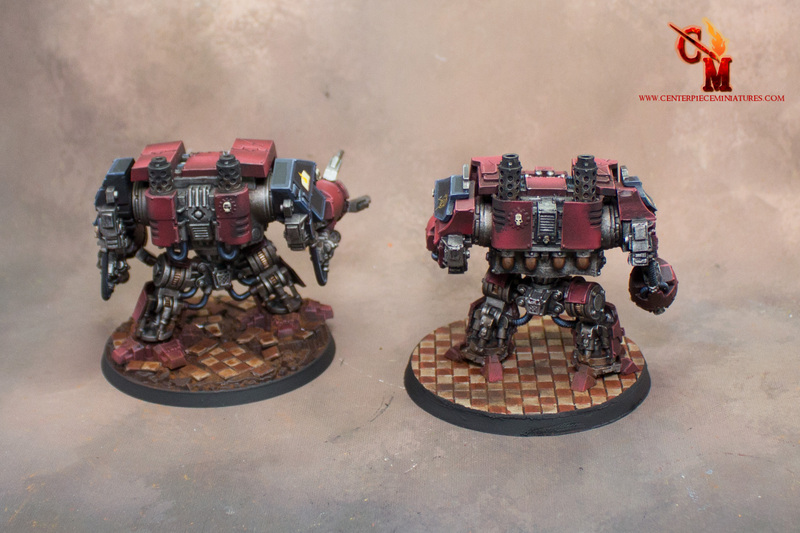 First up is this range of dreadnoughts painted to our level 3 quality. 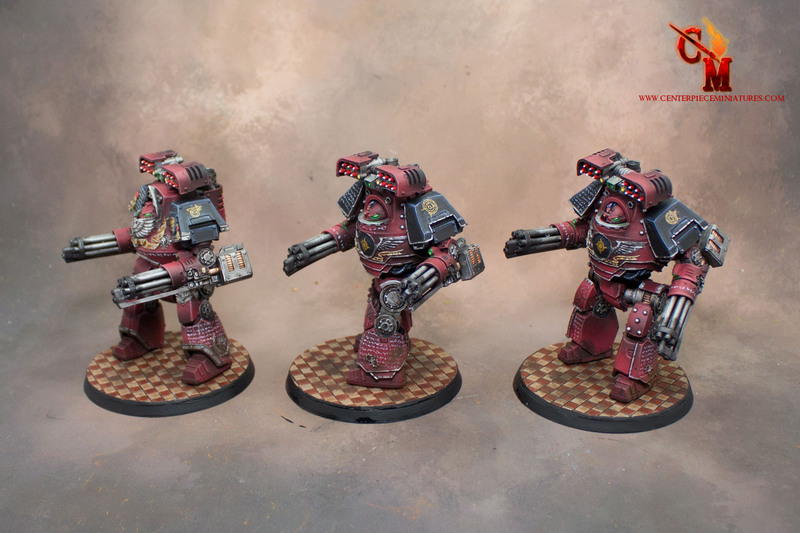 All have had Chaos/Word Bearer symbols painted on to their armour. 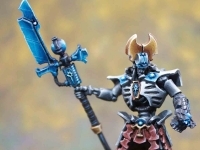 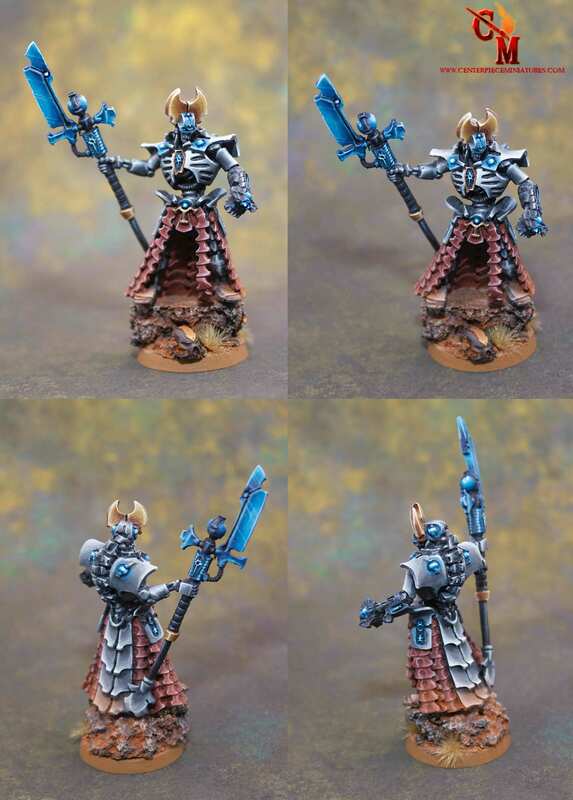 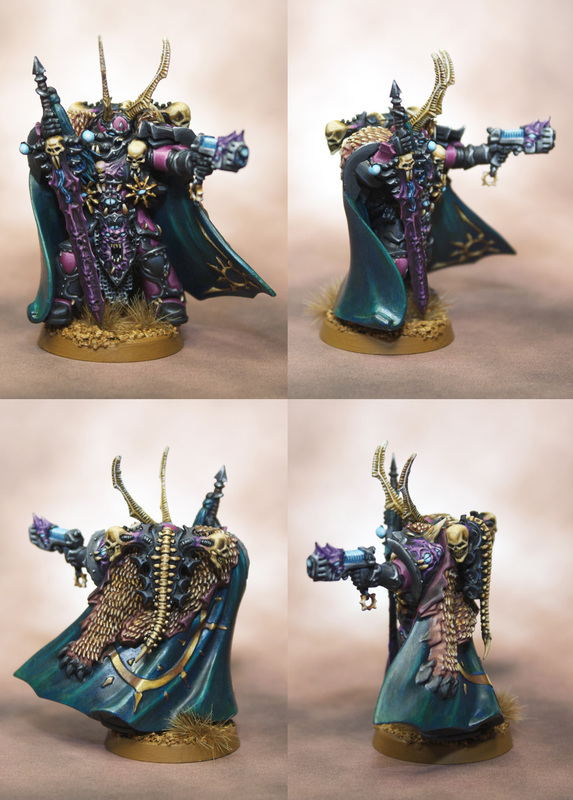 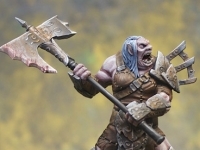 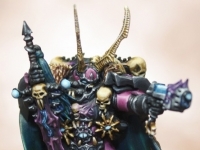 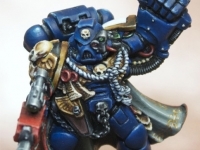 The colour scheme has been copied from the Forge World Heresy books. 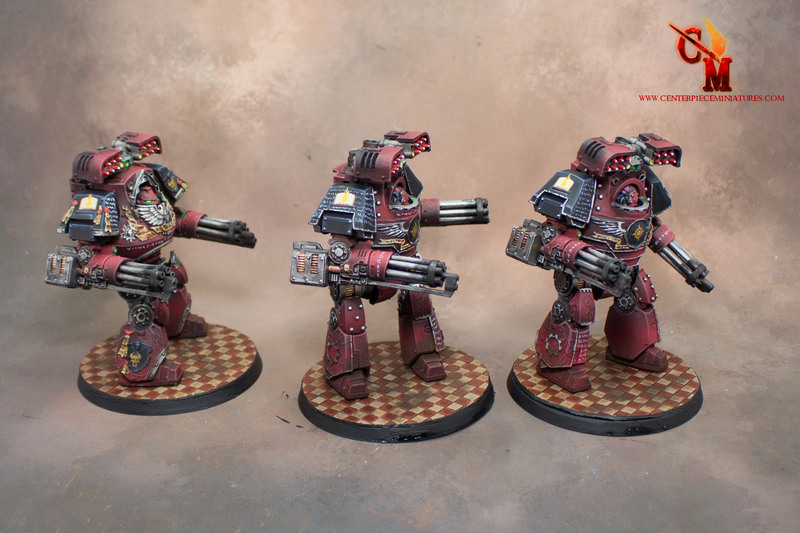 I’ve tried to make sure that the red/maroon colour is close to the artwork from those heresy books, rather than the red I’ve seen in some images as I wanted to make sure nobody got them confused with the Thousand Sons red.